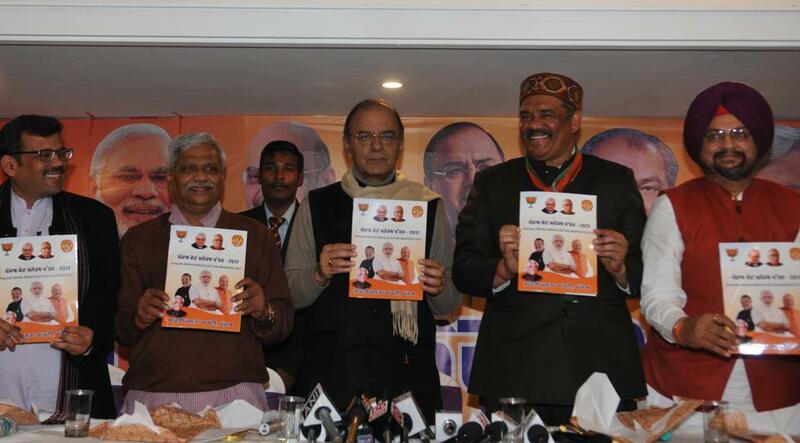 Union Finance Minister Shri Arun Jaitley on January 22 released Bharatiya Janata Party’s manifesto for the Punjab Assembly elections in Jalandhar. “Our poll manifesto is based on the infrastructure and social upliftment of the people of Punjab,” Jaitley said on the occasion. 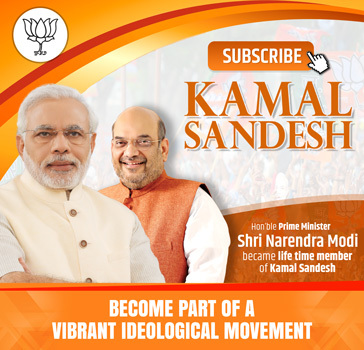 BJP’s manifesto is mainly focused at improving the social infrastructure in Punjab. While releasing the manifesto along with Shri Arun Jaitley BJP national Vice President & the party’s Punjab incharge Shri Prabhat Jha, Punjab BJP President Vijay Sampla and other state leaders were also present on the occassion. A Farms Income Commission will be constituted which will provide an assistance of Rs 10 lakh to the families of traders or farmers in the event of their sudden death. Houses to the poor, land to Dalits and backwards, besides assuring Rs five lakh assistance to the families affected by militancy.